I've been getting in the mood for Christmas this weekend as I've taken my mum and sister away to a Suffolk cottage and spent yesterday at a Christmas fair. Last Sunday saw some beautiful SHELFIES and I'm getting excited as I know that probably from this weekend the #shelfiesundaycomp is going to start to get festive. As if you lot need an excuse for fairy lights lol (love them)! I can't wait to see everyones Christmas snaps. I'm going to dress my fireplaces next weekend, don't forget these count as shelfies too! Anything you can pop something onto is classed as a shelf! Anyway getting down to it as I know you're wanting to know last weeks favourite. I just loved this clean, bright, pastel shelfie by 'Capture by Lucy'. 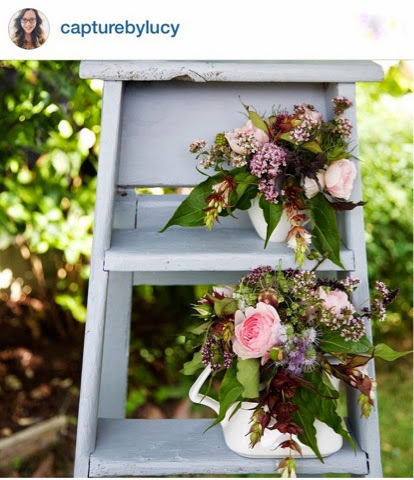 I just love using them as shelves, and I love the gorgeous blooms in this shot. Thank you for entering your gorgeous shelfie pic. By crochet_handmaid_rainbow, lolabiglione, jlavs2, kindredvintage. 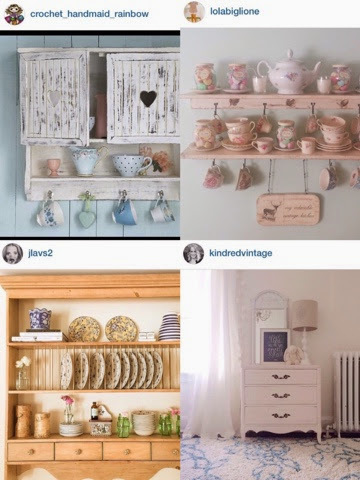 Thank you lovely ladies for joining in with the fun and sharing your fab shelfies. A big thank you to all who play along with #shelfiesundaycomp, it's a nice fun way to spend ten minutes of a Sunday, and I love seeing all of your pretty shelfies rolling in on IG. The #shelfiesundaycomp is a weekly bit of fun played on Instagram on a Sunday. Anyone with a public account can join in. Simply style a little (or big) shelf, it can be a ledge of any kind. Take a pic and post to IG tagging @thevintagegoodlife and using the hashtag #shelfiesundaycomp Enjoy the rest of your day!